Chilean poet Pablo Neruda’s remains are to be exhumed, forensic experts have announced. Chilean authorities want to establish whether Pablo Neruda died of cancer or was poisoned on the orders of country’s former military ruler General Augusto Pinochet. Pablo Neruda, a Nobel Prize winner who died in 1973, was a member of the Communist Party and a staunch supporter of ousted Chilean president Salvador Allende. The poet died aged 69 just 12 days after Gen. Augusto Pinochet’s coup against Salvador Allende. Pablo Neruda’s family maintains that he died of advanced prostate cancer. In 2011, Chile started investigating allegations by his former driver and personal assistant, Manuel Araya, that Pablo Neruda had been poisoned. Manuel Araya says Pablo Neruda called him from hospital, and told him he was feeling sick after having been given an injection in the stomach. His allegations are backed by the Chilean Communist Party, which says that Pablo Neruda did not exhibit any of the symptoms associated with the advanced cancer he is reported to have died from. Members of Chile’s Medical Legal Service began to dig up Pablo Neruda’s grave on Sunday. Pablo Neruda is buried next to his wife Matile Urritia in the garden of their home on Chile’s Pacific coast in Isla Negra, some 75 miles west of the capital, Santiago. A nephew of Pablo Neruda, Rodolfo Reyes, said the family wanted to know the truth “regardless of whether he died of natural causes or was murdered”. 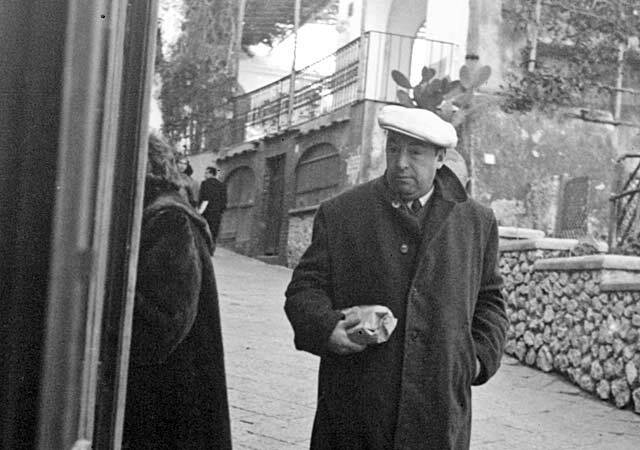 Pablo Neruda, best known for his love poems, was a close friend of the socialist president Salvador Allende. After Salvador Allende was toppled in the 11 September 1973 coup, the poet arranged to go into exile in Mexico, where he was expected to join the opposition to the military rule of Gen. Augusto Pinochet. Historian Fernando Marin is one of those who thinks Pablo Neruda’s plans to go abroad, and his sudden death, were linked. “No one doubts that there was a plane waiting for Pablo Neruda at Pudahuel airport when he died,” according to Fernando Marin. “He had a urinary infection and an adenoma [benign tumor] on his prostate according to the medical tests, but he wasn’t going to die,” Fernando Marin told Reuters news agency. More than 3,000 people were disappeared and killed under Gen. Augusto Pinochet’s military rule between 1973 and 1990.